I had heard about Mpix before, but I finally met up with them at Photoshop world and was able to get a close look at their prints. For some reason, in they sorta have this reputation of a mid-tier print lab, not something top level professionals would use, but after looking at their products I dont know why this is the case. Their prints, selection and pricing were OUTSTANDING. I ordered some 8 x 10's for some friends from Mpix recently, and they were in the mail in less than 24 hours. Something else I really liked was their online ordering system was very easy to use. Many labs have proprietary software that you have to download to your computer, and turn on every time you want to make a print, not to mention, most are highly confusing. 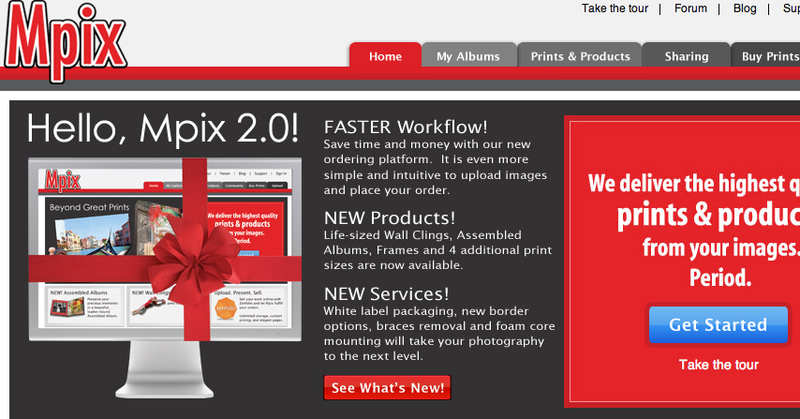 If you are a beginning photographer, or even a stay at home mom, or are just looking for a new lab to try out (aka- dont want to print at your local store, you know where) give Mpix a try. They have been really great!